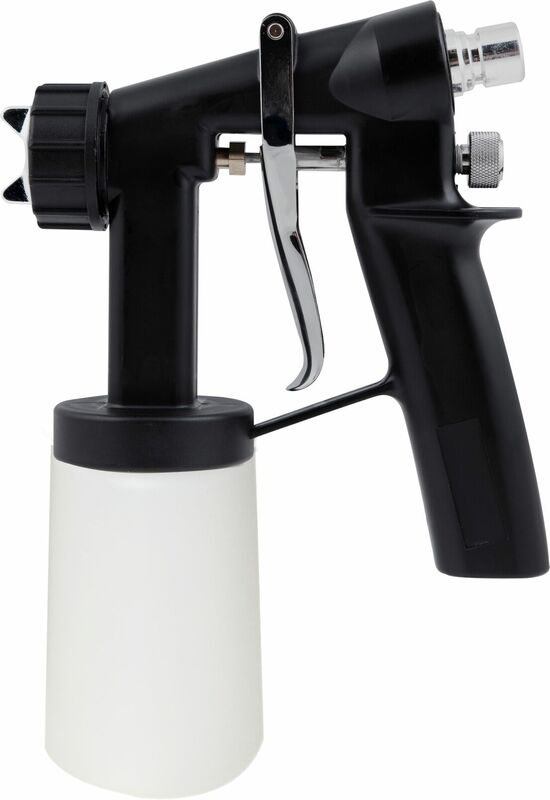 The M Series HVLP Spray Gun comes complete with an 8oz. 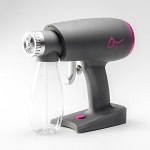 solution cup for multiple tanning sessions. No internal duckbill "O" rings make clean-up and maintenance a breeze. Expertly designed nozzle and integrated solution flow adjustment provide maximum solution atomization with minimal overspray.